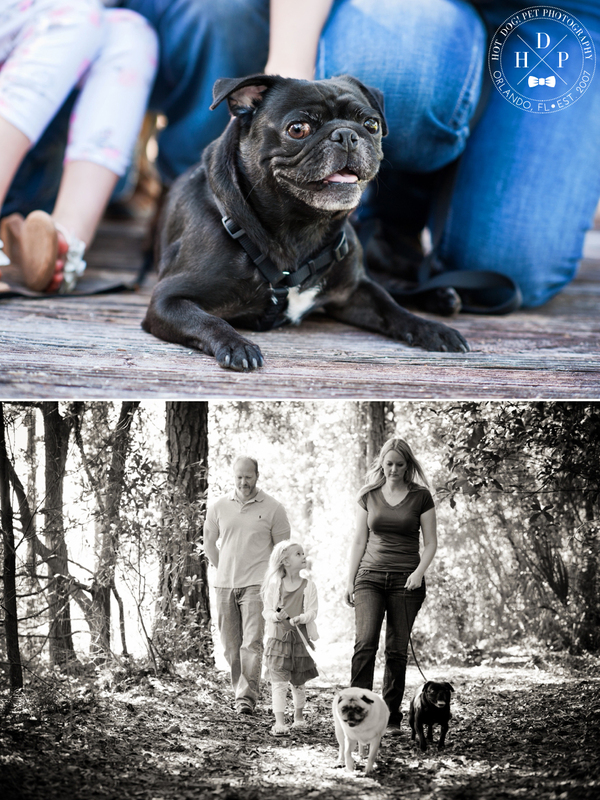 This weekend, we got to hang out with Stitch and Cowboy and their people (Andrea, David and Violet) at Liberty Park in Lake Mary. 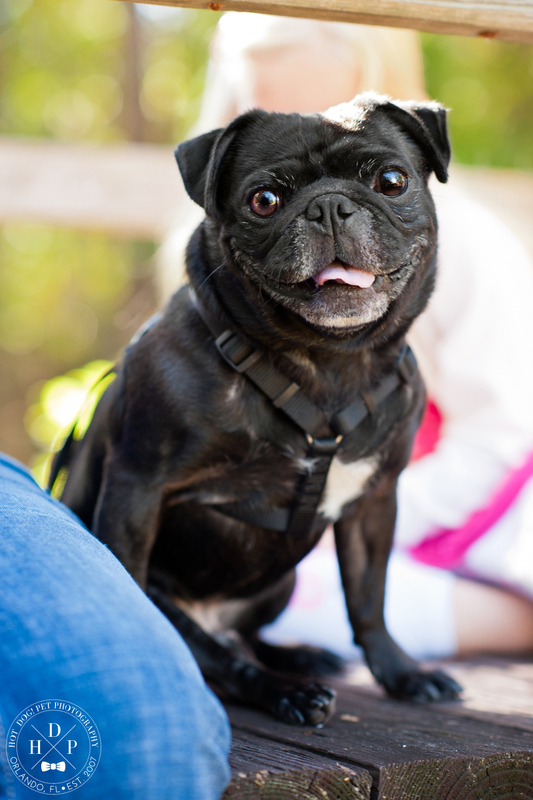 Stitch is the newest addition to their family – he’s about 4 years old and his family rescued him from Orange County Animal Services just this March. 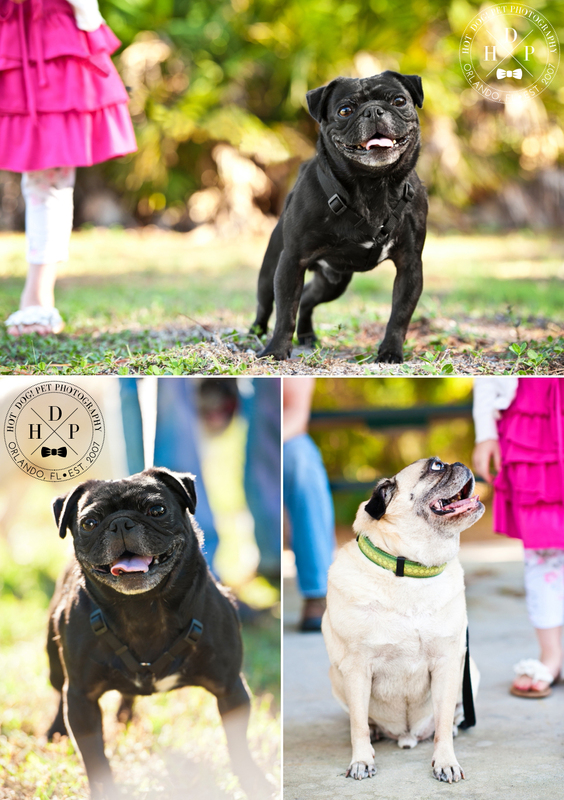 He’s already great friends with Violet and Cowboy, the family’s 10-year-old fawn pug. When they first brought Stitch home, he was underweight and had some eye problems; their vet thinks he might be partially blind in one eye, but that doesn’t bother him at all. Now, he’s filled out quite nicely and loves to fetch, chase his tail and watch TV. Both boys are incredibly sweet and easy going. We particularly enjoyed their snorting and snuffling around in the woods! Stitch especially loves belly rubs and running around with Violet. I think it’s safe to say he’s definitely found his happy ending with his buddy Cowboy and his people!